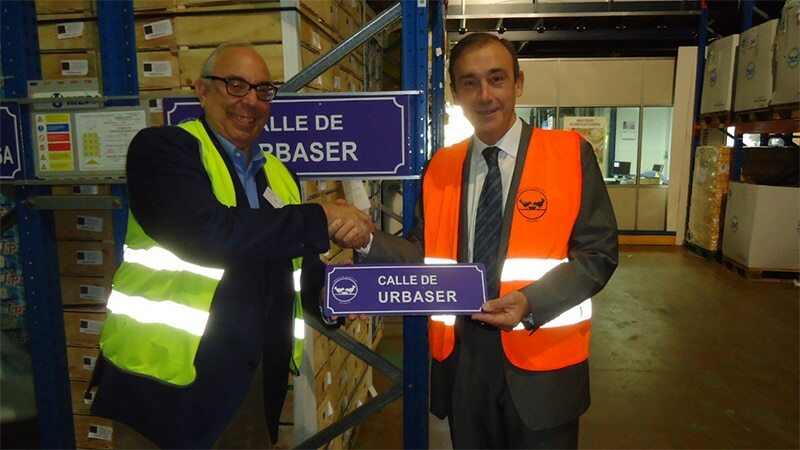 On 8 June, a ceremony inaugurating “Urbaser Street” was held at the headquarters of the Madrid Food Bank. It was the Food Bank’s way of thanking Urbaser for its support both in the food collection drives at its headquarters and with its financial contribution, which covers the Food Bank’s general expenses. 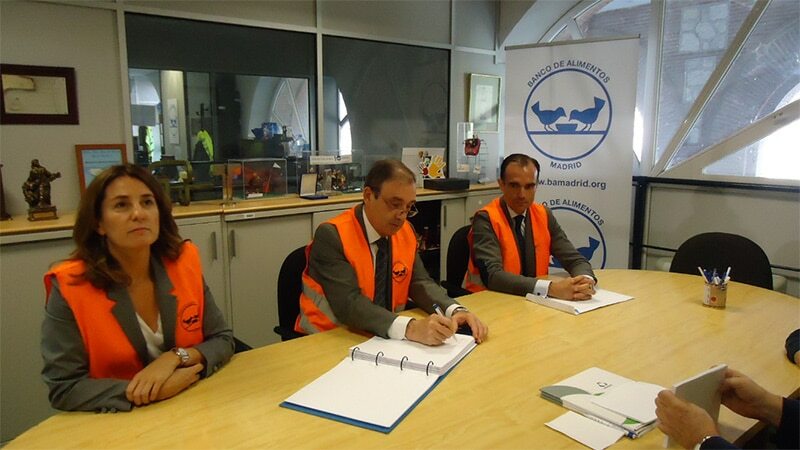 During the visit by representatives of Urbaser, with José María López Piñol present at the event, the persons in charge of the Food Bank explained its inner workings, its organisation and its logistics. In 2016, the organisation had the help of more than 400 volunteers, distributed more than 20 million kg of food, attended to more than 190,000 people, and received aid and support from more than 500 entities, all in an effort to meet the needs of more than 300,000 people who require this kind of help in the Autonomous Community of Madrid. After inaugurating Urbaser Street, all that remains for us to do is urge everyone who can to do their utmost to help in any campaign that may be organised in the near future.